The Impressively Simple Way To Spy On Your Competitors For Higher Rankings And More Traffic! What if I said there was a clever way to do this and it’s right under your nose? If you guessed it was spying on your competitors, you are right! Spying on your competitors is an ethical and smart way to research how you can get more links to your blog and what keywords could work well for your blog. Both of these things will lead to higher rankings and more traffic. Below, you will learn how to spy on your competitors to find these opportunities! 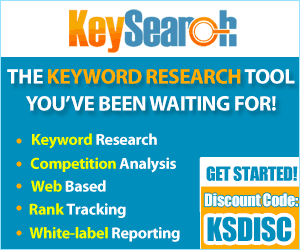 Note: I highly recommend you purchase KeySearch if you are serious about increasing search traffic. You can see my KeySearch review here or how to use Keysearch to find great keywords here. I hope you have found this video helpful. I look forward to helping you more! You can find more top rate SEO advice here.